Here is a list of the articles published during the second quarter of 2017 on the Methods & Tools website. This quarter Methods & Tools has published articles discussing the Ada language, eslastic deadlines. 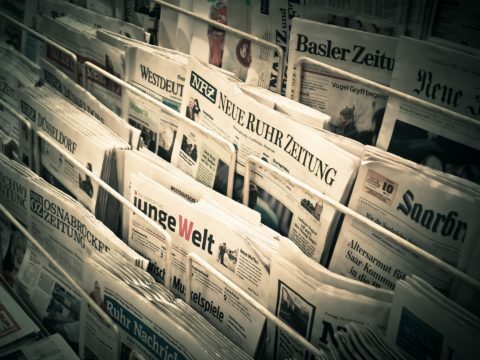 We also published two articles presenting open source software testing tools: InversifyJS and Codetrack. Continue reading"Ada, Deadlines & Containers in Methods & Tools Q2 2017 articles"
Continue reading"Agile & Software Testing in Methods & Tools Q1 2017 articles"
Methods & Tools – the free e-magazine for software developers, testers and project managers – has published its Winter 2016 issue that discusses Better Retrospectives, Refactoring Tests, Delivering Scrum Projects and the following free software tools: doctest, MarkupKit. Continue reading"Scrum & Tests Refactoring in Methods & Tools Winter 2016 issue"
Methods & Tools has published its Summer 2016 issue that discusses hiring for agility, load testing scripts errors, managing with goals on every level and Behavior-Driven Development (BDD) with the open source Turnip tool. Methods & Tools is a free e-magazine for software developers, testers and project managers. Continue reading"Agile Hiring, Load Testing & Goal Management in Methods & Tools Summer 2016 issue"
Methods & Tools has published its Spring 2016 issue that discusses the load testing scripts, communications in project teams, the Kano model for requirements and #NoProjects. 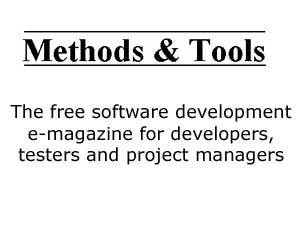 Methods & Tools is a free e-magazine for software developers, testers and project managers. Continue reading"Load Testing, Communication and #NoProjects in Methods & Tools Spring 2016 issue"